Mr. Eberstadt spends a portion of his essay on China’s future situation, and he paints an outlook most people familiar with China’s demographic trends have known for some time: a doubling of the number of senior citizens, a shrinking of the younger working class, and rudimentary social welfare and pension systems that incapable of coping with the massive imbalance. This coming reality is shared by the US and all developed nations, except China’s is pushed to the extremes because of its much larger population, much poorer per capita income, much lower education levels, and a more ill-equipped pension system. Can you even begin to comprehend living in a society where 1 in every 4 adult men you meet will have never married, and not by choice? How could this change the social and cultural dynamics of China? If a man cannot find a woman to marry in his peer group, perhaps he will find greater opportunity to marry a girl of a younger generation. By then, perhaps this man will have saved a little more money and may be desirable enough for a younger woman (and that young woman’s family) to consider. In fact, this is already a part of China’s reality today. It is quite common to meet Chinese couples where the man is 10, 20 or 30 years older than his wife. Chinese men are already putting off marriage until they can properly afford to provide for a wife and family. Chinese pragmatism and a continued income-imbalance based on gender play roles here. Perhaps the demographics of 2030 will show this trend to strengthen and become even more commonplace in the population instead of shrinking. There is great support on both sides of the argument as to whether Homosexuality is a genetic or social outcome. However, if you are persuaded that Homosexuality is in part influenced by social factors, then it is worthwhile to explore what impact such a large population of unmarried men might have on the issue of sexual orientation. There is already a thriving LGBT community and subculture in China, but as ‘coming out’ continues to find acceptance and support in the younger generations, will this significant gender imbalance have any effect on the perspective of the LGBT community in the China’s future mainstream consciousness? The prospect of never finding a life partner can be one of the greatest fears in a person’s life. 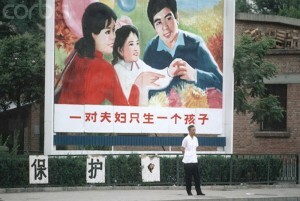 In a culture like China’s, where the mainstream societal expectation continues to put heavy emphasis on progeny, family network strength, and family unit establishment as a benefit to status-building, for these one in four adult Chinese males, being single adds extra dimensions of undesirability. Deep personal anger and frustrations must inevitably be a byproduct of these societal pressures. If these single men will be found predominantly in a single demographic – namely rural, poor and uneducated men – what we might see is the emergence of a distinct sub-group of people, or a new class segregation. An entire class of potentially angry, frustrated, relatively poor and uneducated single men can mean serious threats to societal stability, if this group builds a class identity that feels antagonized by society as a whole. China’s history is full of examples when a group lashes out in defiance and/or violence. This potential new class of single, frustrated men will number in the tens of millions in 2030. There are also a number of examples in history of the Chinese (and other Asian cultures) enduring harsh, distressed, unfair circumstances for generations. It speaks to the resilience and strength of Chinese culture in helping the particular afflicted group align its interests with the general collective society, enabling them to live out their lives enduring the pains of their life situation. 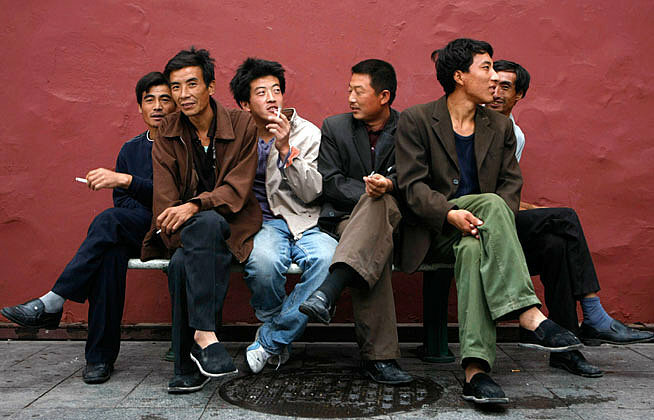 Perhaps this group of single men will not affect anything socially or culturally, but instead stay silent and endure their circumstance as other groups of Chinese have done in the past. For this to happen though will depend on the state and strength of China’s collective culture in the coming 20 years. The Chinese government has been aware of these demographic trends for some time now. They have known, likely before the rest of the world did, that China’s fertility rate fell below the minimum population-replacement fertility rate (2.1 children per family) more than two decades ago. So why hasn’t the government done anything if it can see the problems that may lie waiting ahead? The more immediate challenges China faces must be addressed first. Enacting and maintaining the one-child policy alleviated growing pressures on agriculture and natural resources to give China a chance to shift industries and redirect capital into transforming China into an industrial nation and then a privatized economy. Without first accomplishing the short-term goals, China will never be in a position with the right resources to solve any longer-term issues. Second, having a unified, single-minded governing body and a mass society that generally trusts and believes in the decisions of its government have its unique advantages. One of those advantages is the ability to enact sweeping and often extreme changes very quickly. The Chinese government thirty years ago asked a nation to limit child bearing to one per family. It is not inconceivable that the same government can ask this same nation thirty years later to double its children – for the betterment of the society. While the official government rhetoric until now has been no changes in the One Child Policy, we are starting to see experimentation in a few selected demographics, and the creation of small policy loop-holes that are allowing more Chinese families to legally have more than one child. A good friend of mine who was a former UN officer working on the issue of China’s birth and fertility concurs with the expectation that China will sooner rather than later reverse its stance on the one-child policy and push some new form of incentive to drive birthrates up. The question is whether the incentives will be enough. One of the biggest concerns facing Chinese families today is how to afford raising one child, let alone two. As one recent article from Reuters explains, some couples who have the opportunity to have a second child still choose only to have one as the costs of living and education are so substantial. In our own research work at China Youthology, we observe an increasing number of young post 80’s and 90’s kids who say they have no desire to have any children at all. They simply are not interested in a life with parenting responsibilities. This could all mean for the Chinese government, that something a bit stronger than incentives may be needed in order for fertility rates to rise again. If there is any country that has the political audacity and executional strength to do something so drastic, it is China. However, for this coming generation of frustrated, single men, any policy changes now are too little too late. This emerging reality is almost here. The only thing we can do now is develop a richer and stronger Chinese culture so they can find some relief from any feelings of alienation or frustration. New initiatives that will help cohesion of family, community, and collective social units will be integral in enabling those unable to find a life-partner to cope and have other life-meanings to pursue. 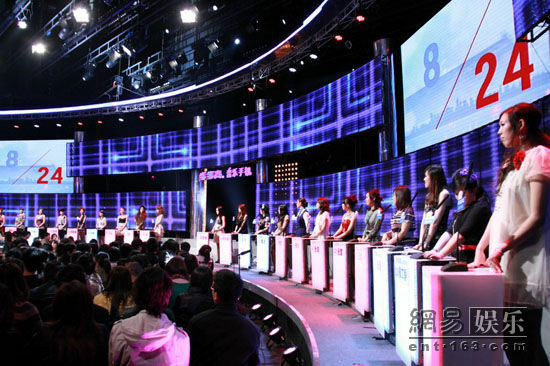 Hunan TV””s “If You Are The One”, a massively popular TV show where one man tries to persuade a panel of 24 eligible single girls that he is husband-material. Hi everyone, if you haven”t heard already, China Youthology will be embarking on a short US Tour in June 2011 to share our insights and findings for those who want a greater in-depth perspective of China and China”s youth segment. This Tour is built for corporate engagement, where China Youthology will come visit the inviting organization at the space of their choosing to give a presentation. If any of your colleagues, friends or business partners are interested in learning more about China”s youth without first coming to China, we invite them to contact us, and secure a date on our Tour.